The client is a leading Internet auto finance company that specializes in loans for customers with less-than-perfect credit. 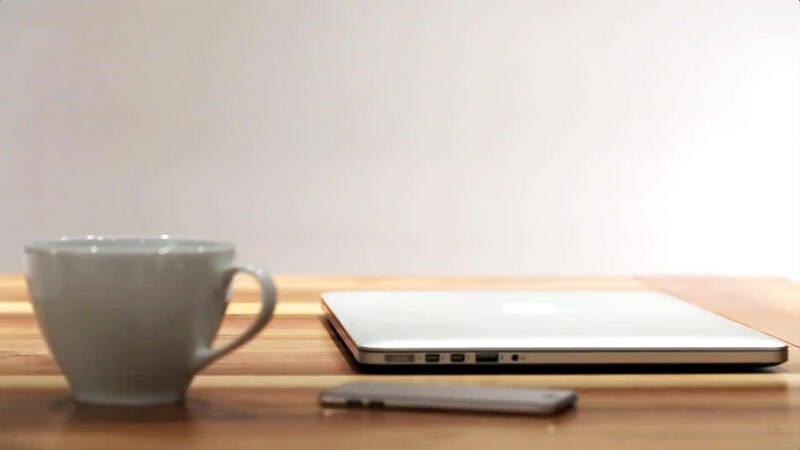 The client uses its nationally-recognized website as the primary online vehicle for attracting new customers. For more than a year, the client employed a traditional, industry-standard search engine marketing (SEM) campaign that included Google Adwords’ pay-per-click (PPC) advertising and banner ads. Although the effort yielded some desirable results, the client was unsatisfied with the campaign’s cost-per-acquisition (CPA) numbers – or in other words, the amount of money it was spending to acquire new customers through SEM and PPC tactics. In order to achieve better CPA numbers and overall online marketing results, the client first took the initiative to research consumer targeting and segmentation best practices. Their research suggested that the adoption of increased/improved hyper-segmentation tactics – the practice of targeting customers based on a very specific set of demographics and behaviors – would decrease the amount they were spending on customer acquisition and generally improve online marketing results. 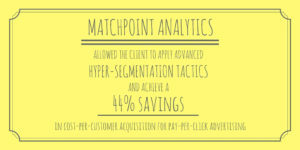 MatchPoint™ Analytics allowed the client to apply advanced hyper-segmentation tactics and achieve a 44% savings in cost-per-customer acquisition for pay-per-click advertising. This research effort led the client straight to the front door of MindEcology, or more specifically, to MindEcology’s MatchPoint ™ Analytics, the agency’s flagship research product. MatchPoint™ employs advanced database analytics and market segmentation tactics that help businesses better identify, message, and convert populations of wellqualified, hyper-targeted customer prospects. Two test markets (Dallas-Ft. Worth and Phoenix) of prospective customers identified through MatchPoint™ Analytics. Two control markets (Miami and Charlotte) of prospects identified with traditional, industry-standard Google AdWords PPC targeting strategies. 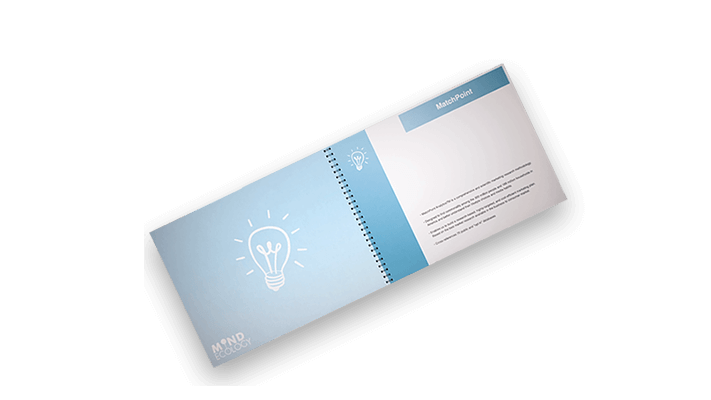 The client then worked with MindEcology to launch a six week, $1,000 online advertising campaign for each market. The bottom line: The insights revealed by the MatchPoint™ analysis empowered the client to successfully retool its online marketing strategy for greatly improved results: (1) A 44% decrease in cost-per-customer acquisition, and (2) Targeted online advertising that reached a higher number of qualified prospects than previous efforts.